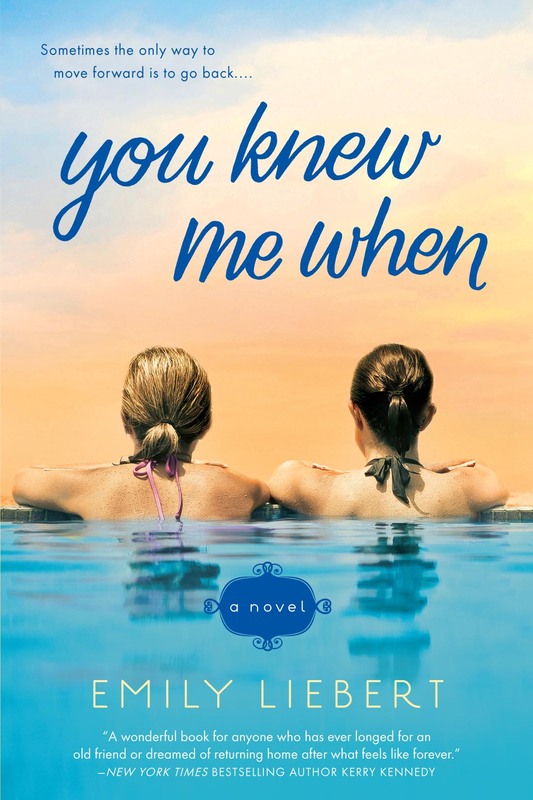 Debut author Emily Liebert has burst onto the scene with her new novel, You Knew Me When. At the heart of this charming debut is the concept of friendship; what it means, how it grows and how it can change you. Emily Liebert answers a few questions about her writing process, her inspiration and what's next for her writing career. Tell us the story behind the story. How did you come up with the plot for You Knew Me When? I've always been interested in the bonds of female friendship. When I was younger, I had a best friend who dumped me when I met my first serious boyfriend. And I've had other friends who've either been disappointing or quite the opposite -- who've stuck by me through the best and worst of times. I wanted to explore this. I also wanted to present two women -- one with a husband and child, who was unhappy with her job and the other with a big career, but no family to speak of. It raises the age old question -- can women really "have it all"? What was the most challenging aspect of writing You Knew Me When? The most challenging aspect, for me, of writing any book is actually sitting down at the computer and starting to write. Some days you just don't feel it. And every now and then, that's ok. But you can't slack off all the time! So I push myself to start writing and, usually, once I do the words start flowing. That friends and family are more important than anything else. That's not to say that building a career and life for yourself isn't important, but you have to remember to cherish the people that were there for you in the beginning. I always write a thorough outline and brief character descriptions before I start writing a book. It's a chapter by chapter outline. Sometimes I'll end up going in a different direction, but I find that it's much easier to sit down and write when you have a plan. When I'm in writing mode, which is about six months or so out of the year (the rest is spent on publicity, partnerships, editing etc...), I typically write about four hours/day. I try to wrap up the writing by 4pm, so I can return emails and deal with other work items. I'm currently reading These Girls by Sarah Pekkanen. I only read one book at a time. That writing a book isn't just about the writing. You could pen a masterpiece and if no one knows about it, you're in trouble! Marketing and publicity are a huge piece of the publishing success puzzle. Develop a thick skin. You will have doors slammed in your face. But when those doors are slammed in your face, kick them in! Don't sweat the small stuff. I'm not sure I've followed that advice, but it's good nonetheless! I just finished writing the first draft of my next novel, The Love That Lies Ahead. So I'll be in the editing phase of that soon. And I'll be chatting with my editor next week about my idea for novel number three!